BARBARA BLACKMOND is a senior partner in the law firm of Horty, Springer & Mattern, P.C. of Pittsburgh, Pennsylvania. She is also an Editor of the Health Law Express, a free weekly e-mail on the latest health law developments. She has worked extensively with hospitals and physician leaders on bylaws, policies and credentialing matters and hearings. She has served as a hearing officer in medical staff hearings. She is one of the creators and original faculty members of The Complete Course for Medical Staff Leaders. She is Vice Chair for Education of the American Health Lawyers Association Medical Staff Credentialing and Peer Review Practice Group (2013-2018). She is listed in The Best Lawyers in America. She has also served on the keynote panel of the annual Health Law Institute (Pennsylvania Bar Institute) for over 20 years. 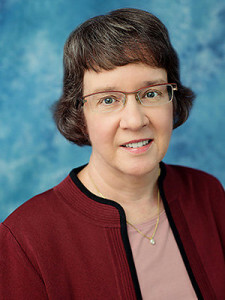 She has regularly served as faculty on programs sponsored by many state hospital associations, and individual hospital board/medical staff retreats and leadership orientation programs.